A conceptual geological terrace sits across the roof of a city centre retail block at the edge of the Waitemata Harbour. 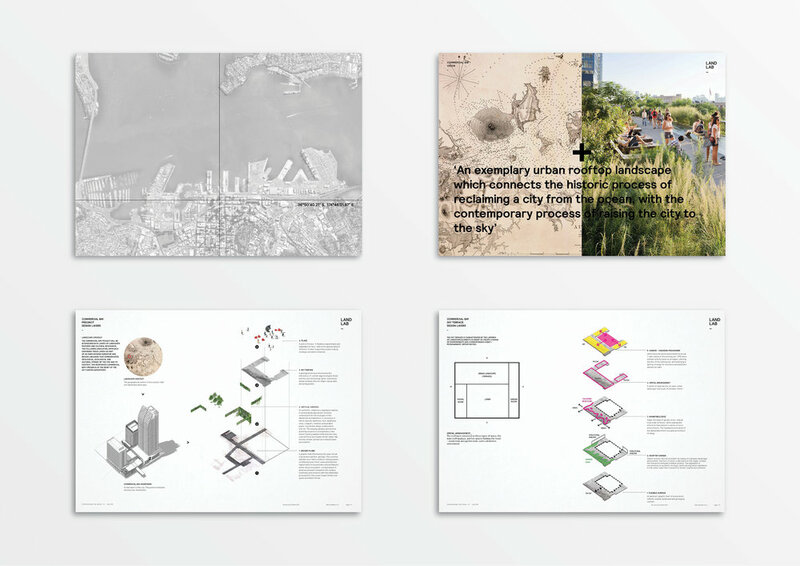 The design concept is informed by the interaction of coastal edge ecologies (fluid) and the reclaimed city morphology (grid). A generative design strategy has been used to inform shape, topography and arrangement of elements and capturing the dynamic interface and working systems of the former coastal edge zone and a range of episodic experiences within a cohesive whole. The rooftop is conceived as a hybrid space combining three spaces in one – the main plaza and garden (east) and social (west) rooms flanking the main tower. 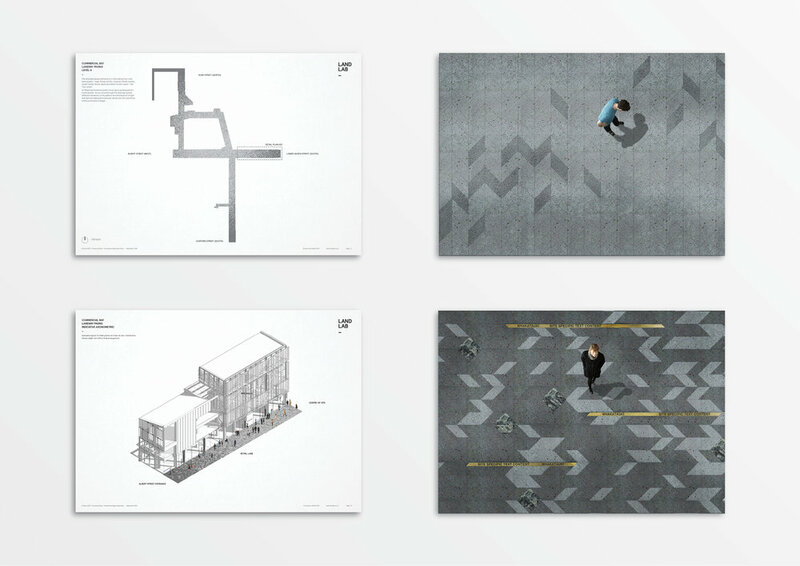 The ground plane establishes a singular connective surface in an abstract ‘graphic field’ derived from the underlying waterfront hydrology. The garden is conceived as an authentic ecology, reintroducing rare and endangered native vegetation into the cities public realm. The carefully articulated interface between plaza and garden a system of microenvironments providing nested opportunities for occupation. The bespoke furniture recalls the crafted timber forms of both indigenous and post-settlement boat building technologies. A combination of hard (surfaces, architectural frames) and soft (moveable furniture, lighting and technology) enables a flexible and adaptable space able to be appropriated for a range of events and activities that support a contemporary workplace. Hard and soft infrastructures enable a range of curated experiences and operational modes that enable Sky Terrace to provide a constantly evolving range of experiences. The project has required extensive research and development of green technologies and methods unique in the New Zealand context. The rooftop landscape, green walls and hanging gardens enable and contribute to on site rain water harvesting and re-use and have supported the wider Commercial Bay project recieving both ‘design’ and ‘as built’ 5 star Green Star ratings.